The Continuing Education program for summer 2017 was held from September 4-6, and its theme was “The Book of Job: A Sufferer in the Middle East”. Around 26 alumni and other participants spent 3 days at N.E.S.T. 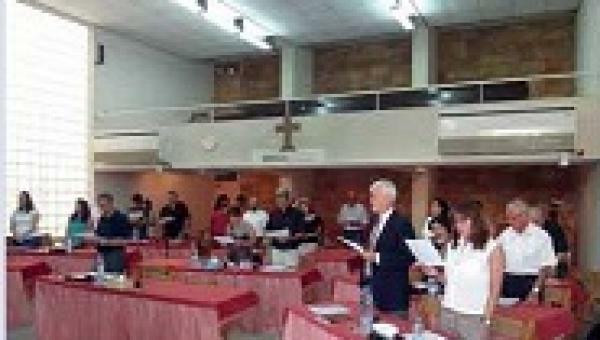 taking part in a seminar that addressed different aspects of the history and theology of the Book of Job.The main speaker was Prof. Theodore (Ted) Hiebert, Francis A. McGraw Professor of Old Testament, and Dean of the Faculty and Vice President for Academic Affairs at McCormick Theological Seminary, USA. He delivered 6 basic presentations that covered the most important aspects and ideas for the study and interpretation of Job. We also heard about Job in the Qur’an and Islamic tradition from Sheikh Mohammed Hijazi, and the participants were able to compare and contrast the accounts of Job in the two Scriptures. The program was highly appreciated by all who attended.